Clay pigeon shooting is renowned as a great day out across the UK. Each year thousands of amateurs and Mayor of Dartford Charity Clay Shooting professionals flock to ranges to have their go at taking down the flying targets. On Monday the 25th August 2014, Mayor of Dartford Avtar Sandhu MBE will be holding a charity fundraising event at Dartford's very own clay pigeon shooting arena - JJ's Clay Shooting Club. The fundraising event will consist of a great day socialising with friends, family and the Mayor of Dartford as well as trying your own hand at clay pigeon shooting. 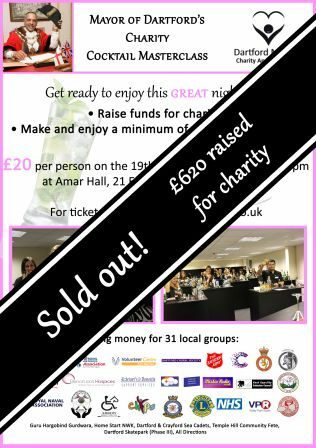 The event is being held to help raise funds for Avtar's 31 different charities, groups and organisations which consist of a variety of Dartford based services including operatic societies and Cancer Research UK.